If you have been following the HSCG’s Legislative Advocacy or the bills that have come out seeking to further regulate soap and cosmetics, then you know we have been seeing bills from different Members of Congress since about 2008. In some terms we have seen as many as 3 active bills relating to soap and cosmetics at a time. This brings us to the question, “Why are bills introduced”? The legislative process is a long one – rarely are bills ever “fast-tracked” or pushed through. 1.) Draft – Bills are drafted by Members of Congress, groups or the Executive Branch. Anyone can draft a bill but only a Member of Congress can introduce legislation. When a Member of Congress introduces a bill, they become its sponsor. 2.) 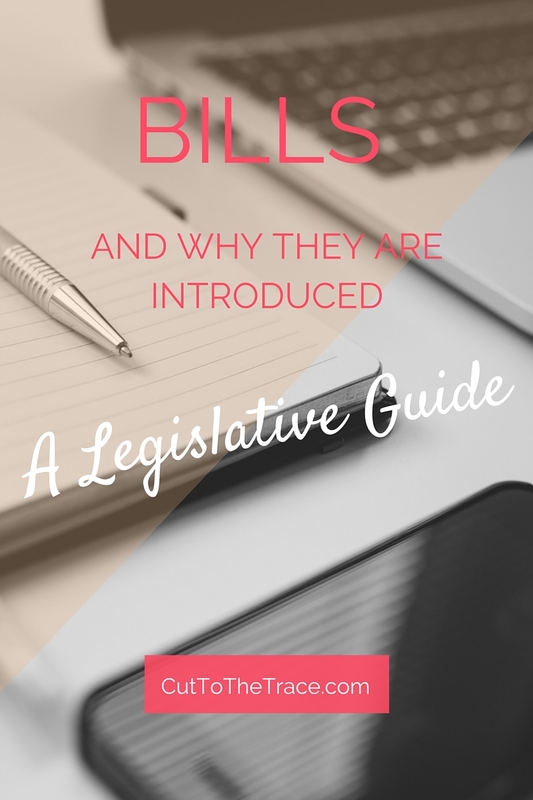 Introduction – Bills are then introduced by a Member of Congress (even if drafted by an outside source) and referred to a committee. 3.) Committee – The Speaker of the House sends the bill to a committee. In the past, bills related to our industry have been referred to the House Energy & Commerce Committee and the Senate HELP Committee (Health, Education, Labor and Pensions). 4.) Committee Action – Here is where a bill will either die (most do) or pass on to the next step (Rules Committee). Many bills are left in committee with no action, they can also be tabled or amended. If the committee fails to act on a bill, it is considered “dead”. A bill can be introduced to a sub-committee for study and hearings. A subcommittee may “mark up” the bill, in other words propose changes and amendments, prior to it being considered by the whole committee. 5.) Rules Committee: Decides on debate on the subject matter in the bill and whether or not it will come up for debate at all. The Rules Committee also decides whether amendments will be allowed and if so, how many. 6.) Floor Action – the House will debate the bill and could offer amendments. A majority vote will allow the bill to move on to the Senate. 7.) Senate Introduction – A Senator introduces the bill and the Majority Leader refers the bill to committee . 8.) Committee Action – Here is where a bill will either die or pass on to the next step (Bill Called Up), the committee can pigeonhole, table, amend or pass the bill. 9.) Bill Called Up – Senate Majority Leader decides when the Senate will consider the bill. 10. )Floor Action – Here the bill is again debated, amendments may or may not be added. If a majority votes in favor of the bill, it is returned to the House. 11.) Conference Committee – If the House decides to reject the changes made by the Senate, the bill goes to a conference committee of Members from both houses to hopefully work out the differences. The bill is sent to Conference Committee when one chamber (House or Senate) makes significant changes. Both Houses must approve the conference report before the bill can proceed. 12.) Vote on Compromise – Both Houses must approve the changes made by the Conference Committee, if they are able to, the bill goes to the President. 13.) Presidential Action – The President may sign (approve) the bill or veto (reject) it. If signed, it becomes law. If the President takes no action for 10 days, while Congress is in session, the bill automatically becomes law. If the President takes no action and Congress has adjourned its session, the legislation dies, this is called a “pocket veto”. 14.) Vote to Override – If the President vetoes the bill, it can become law only if 2/3 of BOTH Houses vote to override the veto. Now that we understand the legislative process and how a bill becomes a law, lets look at the reasons a Member of Congress introduces a bill knowing that only 5% of bills actually pass. > The Member is speaking to their constituents or addressing concerns from their home district (or state). Making good on the promises from their campaign or addressing an urgent or longstanding issue. > The Member is gauging interest and/or reactions from the public and people on both sides of the issue. Many times their first draft of a bill isn’t their final draft, it is useful to know the thoughts of the public and what kind of feedback they will receive (positive or negative). > The Member may use a political tactic and take an unpopular stance on a specific issue to let their peers and constituents know how serious they are about it. So, how do we know if a particular bill is viable watching the legislative process from the outside? There are several things to watch after a bill is introduced to gauge whether or not it will move forward in the legislative process, or die. > Media – If a bill is getting relatively no press, either in news or online, then it stands to reason that it isn’t going to move forward. This is not set in stone, but how the public responds to a particular piece of legislation can either help or hinder a bill’s chances of passing. > Co-Sponsors – When a bill is introduced, the Member that introduces it become the bill’s “sponsor”. It is up to that Member to gain support of the bill by other Members and ask them to “co-sponsor”. A bill with only a sponsor and no co-sponsors will most likely not move. If a Member introduces a bill with a co-sponsor from the opposite party, the bill is more likely to receive attention, this is a bi-partisan bill. > Moving out of Committee – If a bill moves out of committee, either to a sub-committee or to the floor for debate and vote, it is making progress and has a better chance of passing. A bill that sits in committee and does not move will most likely die in committee. This is even more relevant as the Congressional Term comes to a close, a bill that is still sitting in committee as we draw closer to the end of term has little to no chance of passing. The HSCG has been very active in legislative advocacy since about 2009. We are currently under contract with a professional DC Advocate, Debra Carnahan of Carnahan Global Consulting. With her assistance, we travel to Washington, DC 4-6 times per year to attend meetings with Members of Congress. We are both addressing specific pieces of legislation that is aimed at our industry and educating them about the handcrafted soap & cosmetic industry and the people and businesses that make it up. There are currently two active bills seeking to update The Food, Drug & Cosmetic Act of 1938. To read more about these bills and our advocacy efforts, please refer to the legislative advocacy pages on our website. As bills are introduced, it is important to remain calm, keep informed and engage Members when necessary. The bottom line is that the HSCG needs to stay engaged with Congress to ensure that the small businesses of the handcrafted soap & cosmetic industry are well represented. We take a calm, methodical approach and remain steadfast in our messages. When new legislation is introduced that seeks to regulate our industry, we will be ready to engage Members and their staff so that the needs of handcrafted soap & cosmetic producers and businesses are protected.